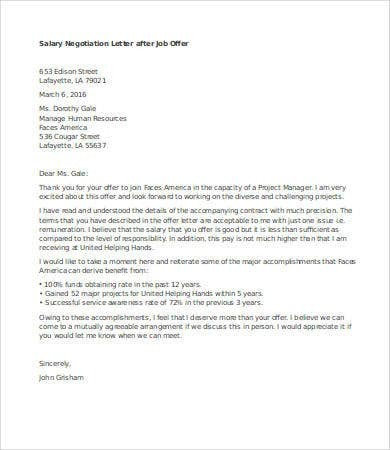 After all the interview processes are done, an applicant truly looks forward to having the job offer letter from the company he or she applied. All the examinations and interviews that an applicant has gone through is for the main purpose of being able to work for the company he or she targeted to be a part of. If you have already received a job offer, it is essential to review the job that you are tasked to do and the salary that you will be paid for. If you think that the salary you are to receive for a specific period of time is too low compared to the services and commitment that you are to provide and give to the company and your job function, then it is just fine to write a salary negotiation letter. 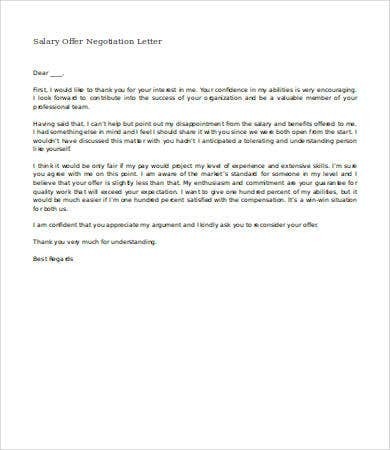 You may view our Letter Templates and use them as your references in writing your salary negotiation letter. 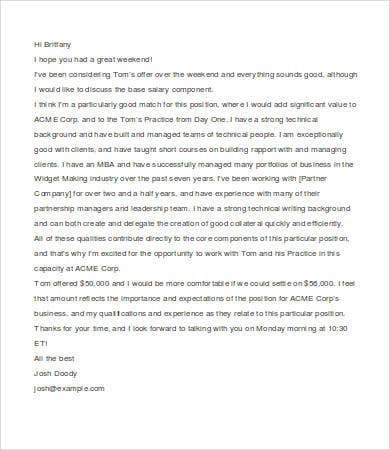 Why Write a Salary Negotiation Letter? A salary negotiation letter is written mainly for a prospective employee to request for a higher salary pay or income. Also, it may be written by current employees who think that their work functions deserve a higher pay from the company. Many people do not want to write a salary negotiation letter as it is both intimidating and uncomfortable. However, if you think that you deserve an increase in terms of your salary pay, then freely do so as it will also let the company look at measures which they may have overlooked in considering the pay that they are to give you. A salary negotiation may be feasible should there be enough basis for the company to believe that there is a need for you to get a salary increase. Be sure to highlight all the things that you can be of value to the company. Allow them to see how you can be of help in the efficiency of work processes. Your skills, talents, and work ethics will also be great factors to consider. In writing your salary negotiation letter, it is very important to make the company know that your commitment to the company is equal to the work functions that you are able to do the best way possible. 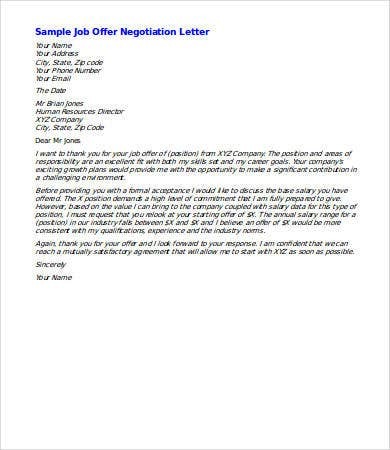 Aside from our salary negotiation letter, you may also download our samples of a Job Offer Letter and an Appraisal Letter. A salary negotiation letter is written to prove that you are worthy of an increase in salary. Hence, make sure that you point out specific items that will reflect the value that you can give and contribute rather than your personal opinion in terms of getting what you want just because you need it. Never include reasons like the salary offer may not provide the lifestyle that you need and other matters that does not give focus on what you can offer in return of a higher salary. 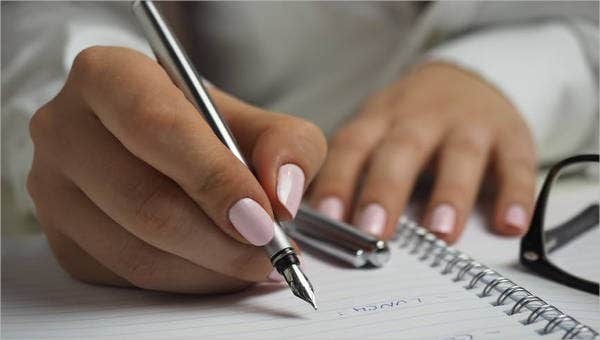 If this article has already helped you to know more about creating a salary negotiation letter, you may also take a look at our Notice Period Letter.